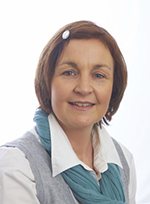 Geraldine Murphy, a born and bred Wexford woman, is our accounts manager. With more than 30 years accounts experience and a professional qualification from the Association of Chartered and Certified Accountants, she monitors and controls all financial transactions. A superb organiser, she is also our office manager.